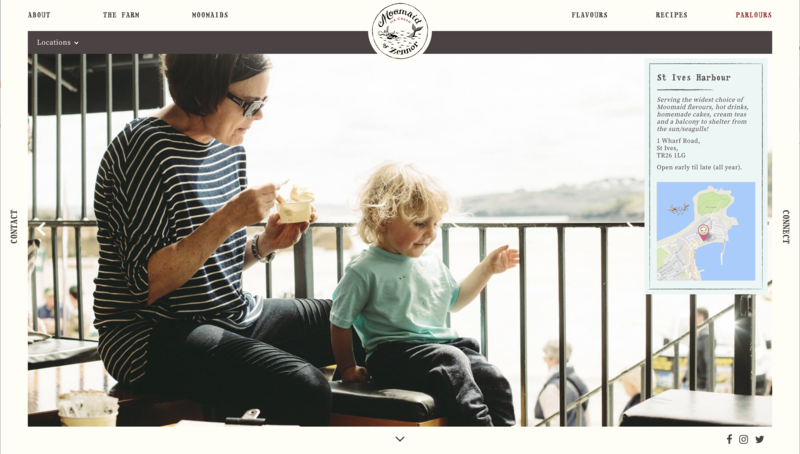 We collaborated with Moomaid to create a simple site that accurately portrayed the story of this unique family business captured by the sublime photography of family member Ruaraidh Monies. 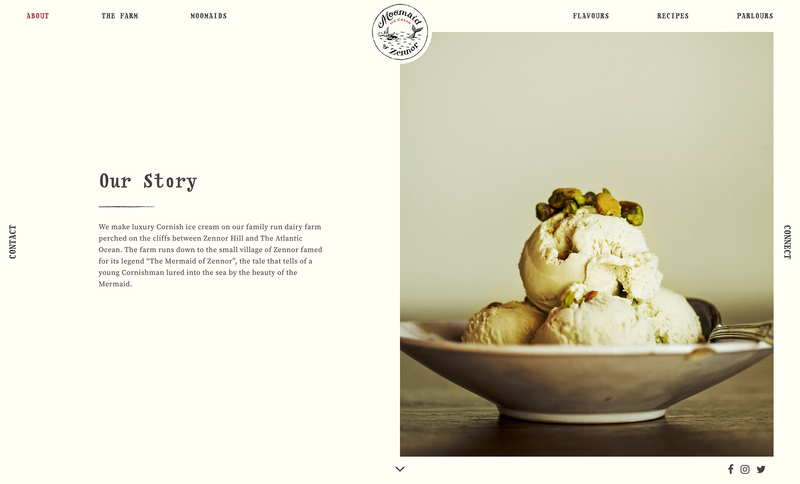 The site includes flavours, parlours and recipes and more importantly character profiles on all of the Moomaids. 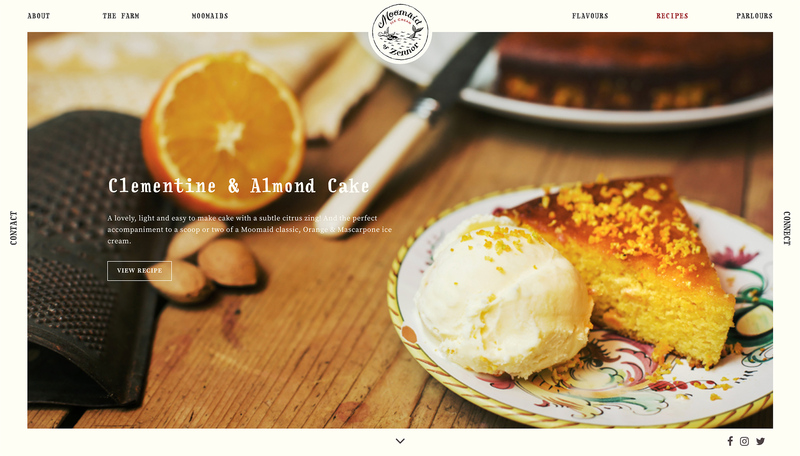 Using an in-frame design, it’s bright and easy to navigate and gives you a taste of what makes Moomaid of Zennor’s product so unique. 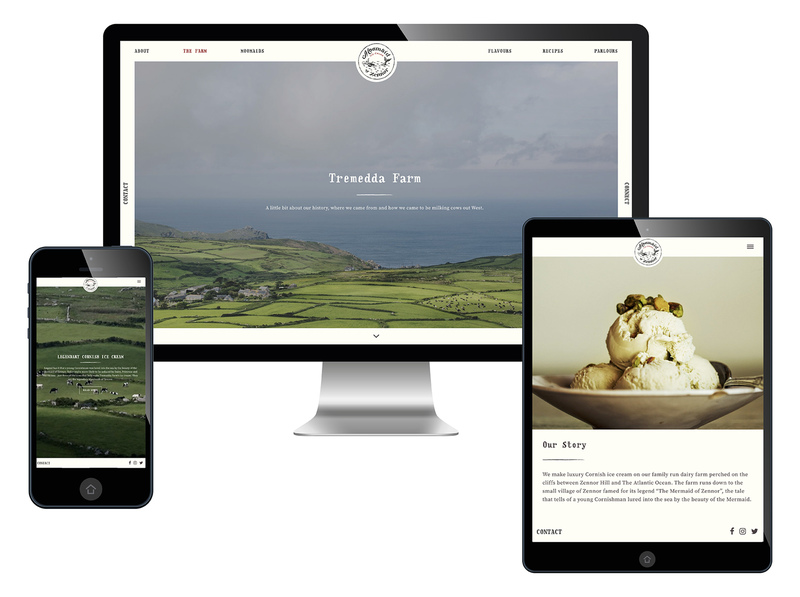 This small family business makes luxury Cornish ice cream and sorbets on Tremedda Farm, Zennor, Cornwall and has been given the accolade of 4th best parlour in the UK. Combining traditional Italian methods with milk from their own herd of Friesian Holstein cows (known as Moomaids!) 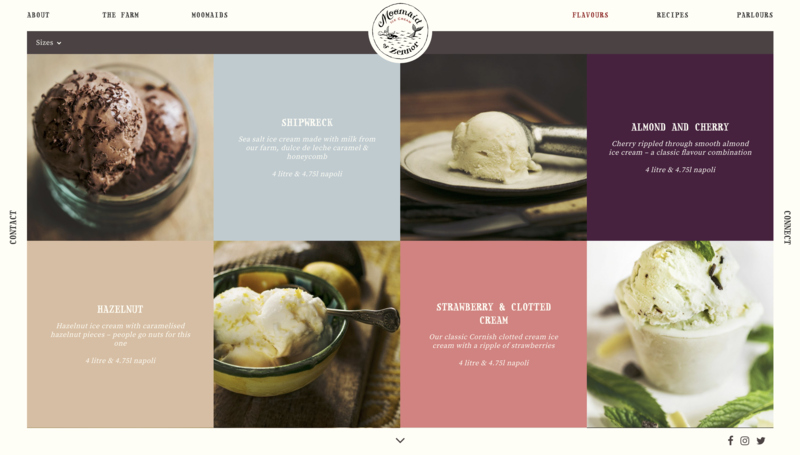 with Official Rodda’s Cornish Clotted Cream, Moomaid creates legendary ice cream flavours based on years of experience and using, where possible, all natural ingredients. This thriving family business is the perfect inspiration for anyone looking to start something special here in Cornwall. Drawing upon a unique family history, a Cornish folk tale and some very special Friesian Holstein cows. 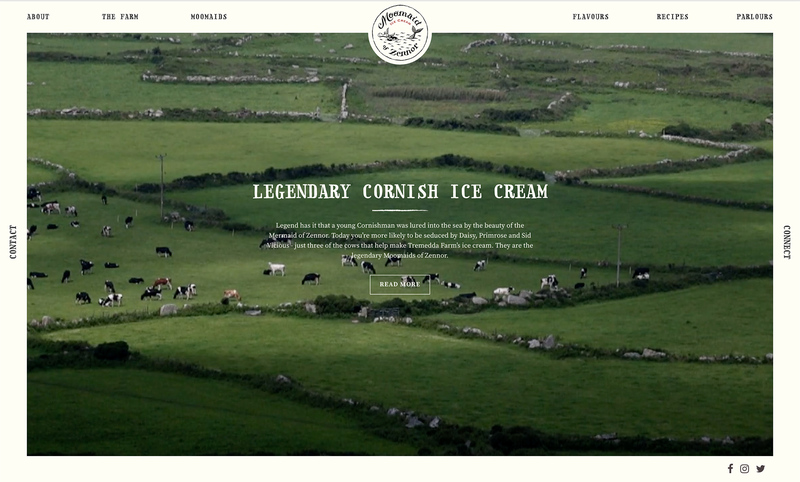 They have created a beautifully branded cottage industry that is renowned for one product done well, Cornish dairy ice cream.